What are we without values? Values determine outcome. Without values a math equation would be empty. There would be no result. It is for that very reason that we must as individuals, and as a corporate body, have values. What those values are and where they come from will determine whether or not an individual or corporate body has any semblance of healthy results. At Open Arms Church, one of the things we recognize is that we need to have values to guide us. Not only do we need values to guide us, but those values need to come from Scripture to protect us. We believe that any foundation for the values of our church other than the bedrock of Scripture is indeed sinking sand. While “Church Growth” fads come and go; one thing remains the same, and that is God’s infallible Word. It is that Word that defines our faith, reveals our Father, and charts our future. It is thus our hope that as we unpack each “Core Value” of Open Arms Church you will see not only the practical and heartfelt reasons for each value we hold, but also the eternal and timeless principle it is derived from in Scripture. While this page briefly summarizes each value, you can also click on the center buttons to read brief articles that further unpack the vision behind each value. Thank you for reading! O: You are welcome just as you are! No church background, special clothes or Bible knowledge required! God knows you, cares deeply for you and we welcome as an honored guest anyone who is seeking Him. P: Check us out anonymously as long as you'd like, or dive right into life at Open Arms. You choose how and when you want to connect with our church family. We understand that people may need time as they check out the core beliefs and vision of a new church. E: Doing our best for God is important. None of us is perfect. We just have a desire to give God our best in all that we do as we serve Him. People seek to do something significant with their lives. People are encouraged to discover their passions and serve God with their best. 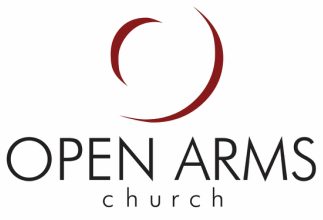 More information about Open Arms' ministries can be found by clicking here. N: We meet people where they are when it comes to understanding and living the life God reveals to us in the scripture. We patiently teach and show by example the heart of God behind His principles. A: This is a church for people who are authentic and transparent; a place for real people and families who face life's real challenges. We provide opportunities for supportive and encouraging friendships to begin and grow. R: Life is busy and hectic! The Bible is taught and modeled in relevant and exciting ways to every age and for every season of life. We desire to invest in the spiritual, mental, recreational and social needs of our community. M: The aim of our celebrative and reflective worship style is to exalt God sincerely from our hearts with songs that are pleasing to Him. There is a noticeable simplicity to our worship services as we seek to reduce as many barriers as possible between the worshiper and God. S: Nearly 70% of today's Open Arms family never understood how to have a relationship with Christ before they got here. We want our whole community to know His love, grace, and peace.